Raey - Elevate your everyday essentials with Raey's lightweight black sweater. 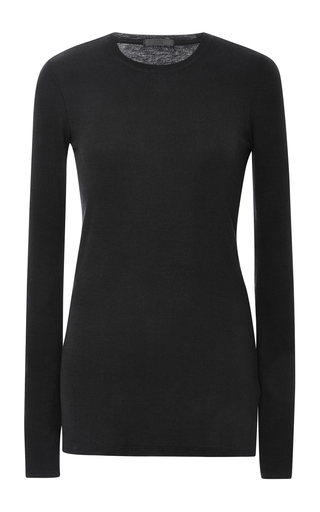 Ideal for layering, it's crafted from a finely ribbed knitted cashmere that feels incredibly soft against the skin. Balance the slim-fitting silhouette by tucking it into wide-leg trousers.